With dozens of different makes and models available, it’s easy to get lost in the sea of laptop options. When you don’t know what to look for, it becomes difficult to find the best laptop under $700. If you are going to spend this amount of money, you should expect to get a powerhouse of a machine in return. At this price point we move away from the Chromebooks and other specialized devices meant primarily for web browsing. Any unit listed below can run multiple programs simultaneously and still get decent speeds. Below we’ve picked five of the absolute best laptops under $700 covering a broad range of uses. From school notebooks to work computers to gaming rigs, one of the contenders below is sure to meet your needs. 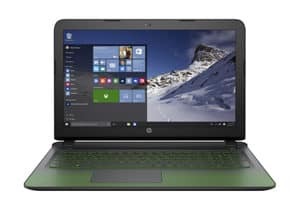 If you don’t have enough money to buy a thousand dollar gaming rig, you won’t find a better budget gaming laptop than this HP Pavilion — especially if you like the neon green color scheme! Let’s get right down to it — for these specs, you simply won’t find a better price. HP’s offering is very close to what you’d get with more gaming-focused brands like MSI, but with some minor changes. The big draws to this model are the green backlighting and accents, and a narrow bezel design so you get more viewing area out of your 15 inch screen. With a GTX 1050 you’ll get great frame rates on medium to high settings with nearly any game. There’s just one downside to going with a gaming model at this price point. Unfortunately it has a hard disk drive rather than an SSD, but you can’t expect to get everything for this low a cost. Want a solid state drive for quieter, faster operations? This model can be customized to include that feature, although the price will go up above $700. Trust us that the SSD is worth the price bump, though! Once you’ve had a whisper quiet laptop with blazing fast data retrieval and bootup, you won’t ever go back. 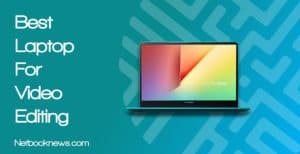 Need a portable computer that’s powerful, adaptable, lightweight, and at a low price so you can still afford books for the semester? 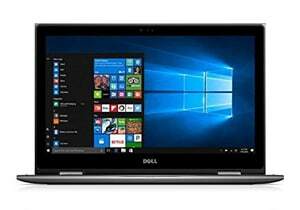 Dell’s Inspiron is our pick for the best laptop for college students under $700 currently available. We know college students often need to save money whenever possible, which is why we picked a budget model for our top college pick. For just over $600, you get a whole lot of power packed into a lightweight device. You won’t have any problems carrying this thin 2-in-1 model around classes all day. With this combo of CPU and RAM, you can expect great speeds even if you need to run multiple apps during classes. For this pick, we went with a laptop featuring a larger 1TB HDD. While it doesn’t boot up quite as fast as a unit with an SSD, you’ll have more space for storing your school projects. With the full HD screen, you’ll also get great visuals when streaming videos in your down time! 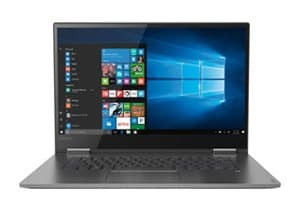 Looking for an extremely dependable laptop that will last a whole work day before needing to connect to the power outlet? 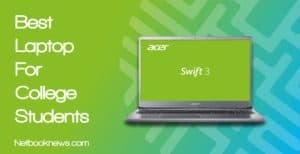 The latest model Acer Swift is our top pick for the best business laptop under $700 right now. Whether you run a home office, small business, or large scale corporation, there are always the same basic features you’ll want to find in a business computer. Acer nails all of them with this model, offering up a durable but lightweight machine with scratch-resistant Corning Gorilla Glass. The 256GB SSD offers more speed than our other picks, but at the trade off of less storage space. That isn’t likely to be a major downside for business use though, since you’ll likely be storing data in the cloud and collaborating on documents online anyway. One of the biggest draws here is the battery. The Swift has long enough battery life to last a full work day before needing to plug in. Do you prefer versatility and portability over all other features? The Lenovo Yoga is our pick for the best 2-in-1 laptop available under $700 on the market. With a 2-in-1 design, you get a solid workhouse of a computer that can also flip around to work as a tablet. As a bonus, hybrid laptops like the Yoga tend to be much thinner and lighter than normal portable computers. This model is less than an inch thick when closed, making it extremely comfortable to hold and very portable. You don’t really lose out on any features even with that thing design though, as there’s a huge array of ports included for connecting to external devices. Like many new models, this unit also comes standard with a fingerprint reader so you can protect your data without remembering a password. Note that the version of the Yoga we’ve picked only has a 128GB SSD. This model can be customized before ordering however, so a bigger SSD is available if you’re willing to go up above the $700 mark. Looking for the cream of the crop in terms of high end specs, extra features, and plenty of personalized color options? 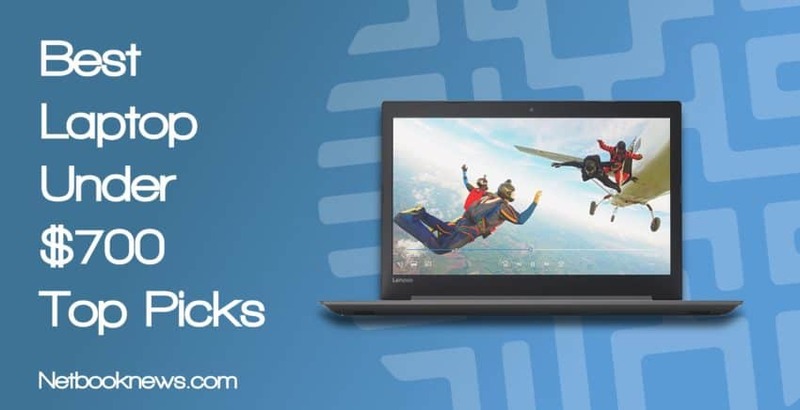 The VivoBook S15 is our pick for the best overall laptop under $700 for any kind of user! Here we are at our best overall laptop pick! 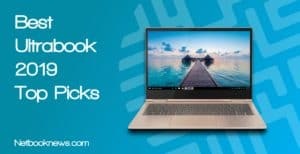 While it will cost you the full $699.99, this version of the VivoBook is worth the cost, combining most of the best features of our other contenders above. What you get here is as thin and light as an ultrabook but with enough power under the hood to replace your desktop computer. The excellent design doesn’t end at the low weight, however. The nano edge bezel offers more viewing area than our other picks even though the chassis is the same overall size. This model is also available in a variety of color schemes, from a professional white and gold motif to an eye-popping neon blue and green combo. With a high end display, fast booting solid state drive, backlit keyboard, fingerprint sensor, and plenty of battery life, you can’t go wrong with the VivoBook. Unless you specifically need a built-in graphics card for gaming, this should be your top pick for the best overall laptop in the price range. 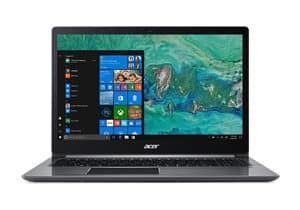 While many laptops in this price range will have very similar specs, they often differentiate themselves through overall weight and display design. To get the most RAM and biggest storage capacity, we recommend sticking with 15.6 inch models in this price range. 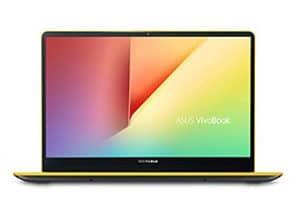 Even at that standard size, you can still find plenty of thin and lightweight ultrabook models that are 4 pounds or less, however. That’s particularly helpful if you’ll be carrying your laptop around between home, work, or school on a regular basis. Don’t forget to look for extras like high end Corning Gorilla Glass either, as that can make a sub-$700 laptop much more attractive than more expensive models! Aside from the specs like RAM and CPU speed, it is absolutely critical to compare the extra features between models to ensure you get the best deal and most options. When models in this price range have similar specs, we recommend picking a unit with a fingerprint scanner and backlit keyboard for the best experience. There’s plenty of variety available in $600 – $700 machines outside those features as well. Hybrid tablet / laptop models are available here, as well as traditional portable computers to sit on your lap or a desk. Touch screens are becoming the norm, and it won’t be long before most laptops come standard with touch functionality. Having a touch screen makes it easier to use some Windows 10 apps that are meant for tapping rather than clicking. 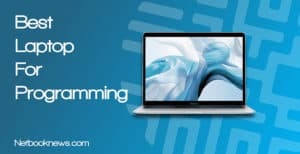 After deciding on size, weight, and design, your main concerns should be in how fast your laptop can load apps and boot up Windows. To get the best performance at this price, we recommend sticking to a minimum of 8GB of RAM and a 7th gen processor. If you can bump up to 16GB or get an 8th gen, then even better. In most cases, you won’t find a full rack of 16GB unless you pick a refurbished model, which we didn’t include in our picks. When you get into this price range, you can also often find laptops with dedicated graphics cards.That can be a big selling point if you want a work machine that’s also capable of high end gaming in your spare time. When spending this amount of money, you want to make sure you get stable frame rates at decent graphics settings no matter what kind of games you play. At this price range, we recommend GeForce GTX 1050 as your bottom line graphics card, with little to no wiggle room. In some cases you may even be able to find machines on sale with a GTX 1050i for slightly increased performance. 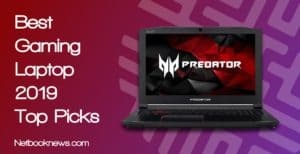 Laptops with integrated shared graphics exist in the $600 – $700 range, but they aren’t even worth considering if you intend to use the computer primarily for gaming. Be sure to get a full HD screen with 1920 resolution as well, so your games always look their best! While more battery life is always better, the specific number of hours you should look for will vary depending on your usage needs. You’ll find that many machines with larger, higher end displays tend to have less overall battery power. We’ve picked a range of models below that cover the gamut in battery life, but in most cases we recommend picking a unit that estimates between 8 – 14 hours so you don’t need to frequently plug into an outlet. In terms of battery life, there’s simply no way around it — you will always get less charge with gaming models unfortunately, as the GPU uses up more power. Be on the lookout for anything with 5 – 6 or more hours of battery life for gaming models.